This error is annoying and seemingly hard to find a way to fix it. I got it will Eclipse Luna (4.4.1) and the latest SDK and ADT. and then re-installed them. Restart Eclipse and the error should be gone! Posted on February 23, 2015 Categories Android, Eclipse, LollipopTags adt, Android, eclipse, sdk1 Comment on Unknown error: Unable to build: the file dx.jar was not loaded from the SDK folder! Please complete our research survey related to Task Allocation through Social Media. Thanks in advance and feel free to share! 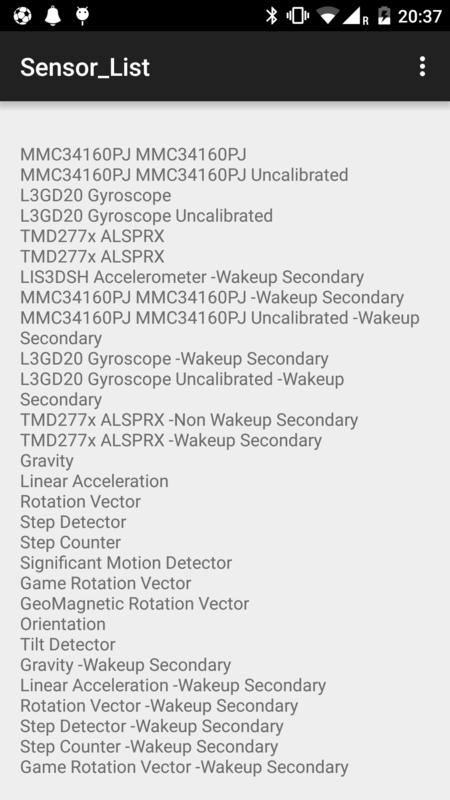 On Oct 30th I contacted Huawei UK re an Ascend P1 that was not powering on. I posted the phone back to them on the same day (Oct 30th 2013). I rang on the 12th November to get an update from Huawei about the status of the repair as I had not heard from them. The Huawei tech support team said that the item had been posted out to me 4 days previously so I assumed the phone would arrive to me the next day. I am in the Rep of Ireland and I had sent the phone to the UK to get repaired. So if the phone had been posted on the 8th of November then usually I would have received it on or before the 15th November. On the 20th November I rang Huawei to again check the status of the phone repair as I still had not received the phone. Dan the Huawei customer support rep gave me a Royal Mail tracking number – when I checked this number later that day it turned out the phone had been delivered – but in Norwich and had been signed for. So it turns out my phone had been sent but somehow was in Norwich in the UK….not Tralee in the Rep of Ireland. So on the 22nd November (phone call no 4) I rang Huawei again and was talking to Christine. She was not very helpful and couldn’t even say where my phone was. She said I should ring Royal Mail, but as I could see Royal Mail had already delivered the phone to an address in Norwich there was not much point in me ringing them. Also as I hadn’t sent the package I was not the customer of Royal Mail…Huawei were. She eventually said the phone was in the repair centre and would be sent out as soon as possible. As I was quite frustrated at this point I said I would like the phone by 29/November/2013 or a full refund. Which would have allowed them time to post it to me or to courier it. I also said if there was any issue/problem with returning the phone I would appreciate being contacted by email or phone. So….on the 29th November I rang Huawei Tech Support again….5th call. I was talking to Sam (who again was not very helpful). He at first got me to explain the situation even though he should have the information in front of him. He then stated that I should ring the Repair Centre – I explained to him that as a Huawei representative shouldn’t it be his job to find out where my phone was. I then asked to talk to his superior and he put me on hold. When he returned he said his manager was unavailable to talk to me but he had magically contacted the repair centre and my phone was still there. So 20 days after my phone was sent to me it was somehow still in their repair centre. I then asked could he escalate this issue and he said as they are a contracted company to Huawei that he couldn’t. I asked him could he escalate it to someone in the repair company and he couldn’t. I asked him about contacting Huawei directly and he said they had no real presence in the UK. He said that the phone would be posted today…. (not sure how I am meant to believe that) and that he could not help me any further re a refund or escalating the issue. I have contacted Huawei previously through email & twitter where I got responseson the 26th November by never received any update from them after that. So I am now looking at taking legal advice re the next steps as I have no other way to contact them and having already wasted over €20 ringing them I am put off wasting more money and time without any real progress. On Tuesday Dec 3rd after being in touch with Huawei through Twitter and sending an email through their contact form I was eventually rang by a Huawei representative to check my address. My address was correct on their systems. The repair company claim to have sent out the phone on two occasions but both times it got returned to them. The Huawei representative told me he would find out the status and get back to me with a tracking number. On the 5th December I contacted the Huawei representative re the tracking number and status of the phone delivery. He did reply with a tracking number but as far as I can tell that tracking number was only set up on the 5th December so the phone was only sent that day – on the previous Friday 29th November the repair company rep had promised me the phone would be sent that day. Surprisingly Huawei sent out the phone by post (not by courier to speed up the process) so the tracking number is useless after leaving the UK so I am presuming the phone is in Ireland but hasn’t been delivered to me as yet. I am now without this phone for 41 days – my understanding of the legal requirement is that a repair under warranty should be carried out within 30 days. I have contacted Huawei today in relation to this. Realisations of smart environments such as Smart Cities and Smart Buildings bring the promise of an intelligently managed space that maximise the requirement of users (i.e. citizen commute time, building occupant comfort) while minimising the resources required (i.e. transportation costs, energy costs, pollution, etc. ).These smart environments were foreseen by Weiser in his work on ubiquitous computing in the 1980s at Xerox PARC and are physical worlds that are interwoven with sensors, actuators, displays and computational elements, embedded seamlessly into everyday objects and connected through a continuous network. It is only now, 30 years later, that elements of this vision are now being created through wireless internet enabled mobile devices. Enabled by this constant connectivity the concept of human-in-the-loop sensing has emerged and Professor Amit Sheth has described the phenomenon as citizen sensing and as “…humans as citizens on the ubiquitous Web, acting as sensors and sharing their observations and views using mobile devices and Web 2.0 services”. In parallel to the emergence of citizen sensing is research into and the realisation of wireless sensor networks and the Internet of Things (IoT). The IoT vision relies on smart connected devices including sensors constantly connected and relaying data for real time analysis. It is from the combination of research into human-in-the-loop sensing (citizen sensing) and the IoT that led us to develop the concept of citizen actuation. While citizen sensors generally only report on events in their surroundings we try to create actionable knowledge to allow people to make informed decisions through direct or indirect feedback. We define citizen actuation as the activation of a human being as the mechanism by which a control system acts upon the environment. The figure shows a feedback loop divided into four distinct stages – the evidence stage collects the data and processes it for presenting to the user. The second stage relays the information to the user with richer context. This can be through visual representations like graphs, signs, or even warnings. A good example of this is a speed sign that measures a car’s current speed displaying it to the driver in comparison to the speed limit. The third stage is consequence, which shows the gain from what the user has reported. The final stage is action, where the user completes an action or makes a choice then this action/choice has a reaction and the feedback loop can restart. The figure also shows where we see as the division of where citizen sensing and citizen actuation take place within the loop. 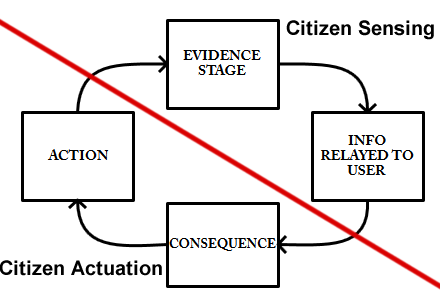 We envisage citizen actuators as engaged citizens within any community, organisation, or any people connected through some shared place or object. In our research we developed and ran an experiment using citizen actuation as a component of a Cyber-Physical Social System (CPSS). This CPSS combined IoT technologies, Linked Data, and social media (Twitter in our experiment) to measure and track energy usage in the Digital Enterprise Research Institute (DERI	) building in NUI Galway and alerted building occupants of high energy usage outside of office hours through a tweet of the form “Hi @username could you check if lights/air-con were left on in the 1st Floor North Wing please? And turn them off if possible. Thanks”. The user then if, available, then can chose to check and turn off any equipment in the area. 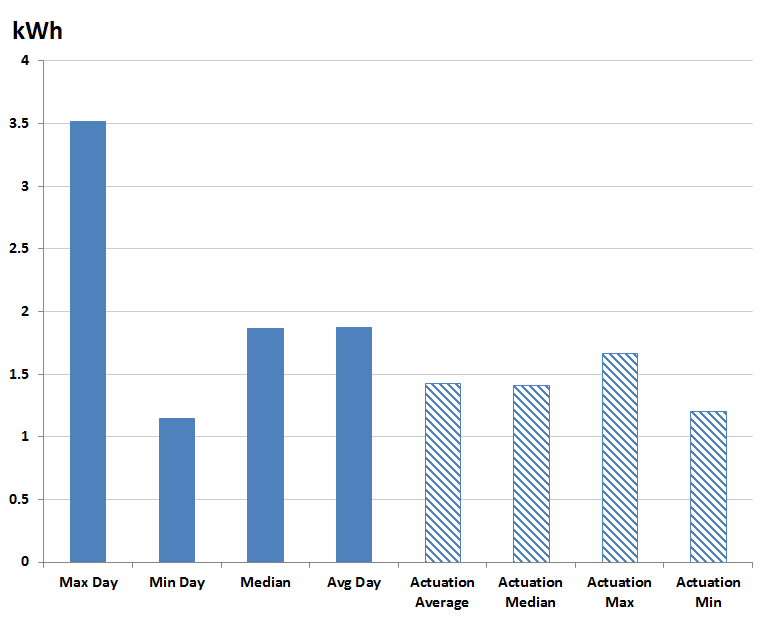 During our experiment energy usage dropped by approximately 24% compared to a baseline set over a four months. This work will be published at the IEEE Digital EcoSystems and Technologies (IEEE DEST) and can be found here. This is using Twitter4j 3.0.3 Core and Stream. I am confused by the lack of knowledge shown in discussion in regard to the Joint Committee on Transport and Communications. It is fairly obvious that they people talking have little or no knowledge of the Web as a whole. It is a major concern in a country that pushes the idea of being a “Knowledge Economy” that these people might make decisions in relation to access to the Web. As a researcher in this area and with SFI announcing just recently into the importance of research in the area of Big Data – which by most definitions includes online data it worries me the mixed signal Irish politicians send out regarding this. They are in favour of it when it seems like something that will get them noticed in the papers/TV, when it is a positive jobs creation story but against when it relates to bullying or copyright issues. I really hope that this committee actually gets advice from industry leaders and academia members especially when Ireland is known for its web/computer science research (look at groups like Clarity, DERI, LERO, 4C in UCC, and smaller groups). Web, and the roles these domains can play in environmental and public health surveillance and crisis/disaster informatics. We provide an in-depth review of the key issues and trends in these areas, the challenges faced when reasoning and making decisions with real-time crowdsourced data (such as issues of information overload, “noise”, misinformation, bias and trust), the core technologies and Open Geospatial Consortium (OGC) standards involved (Sensor Web Enablement and Open GeoSMS), as well as a few outstanding project implementation examples from around the world. 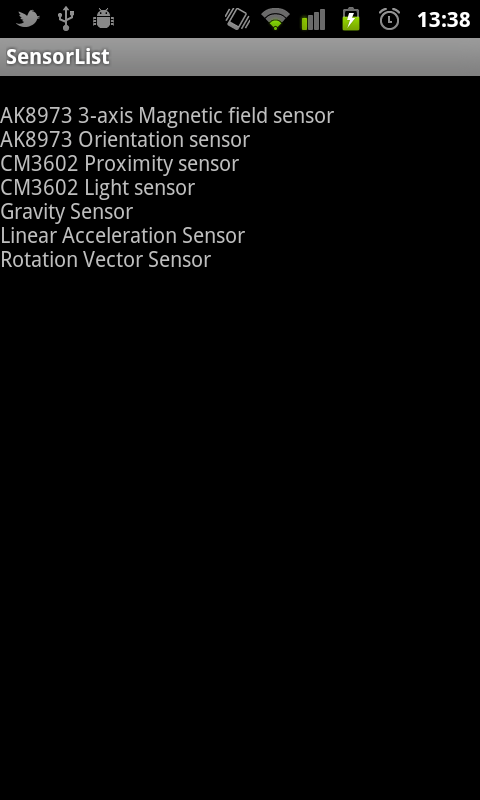 After messing around with sensors for a while and tried to see what TYPE_ROTATION_VECTOR actually returned as values. The docs seemed pretty sparse to me! 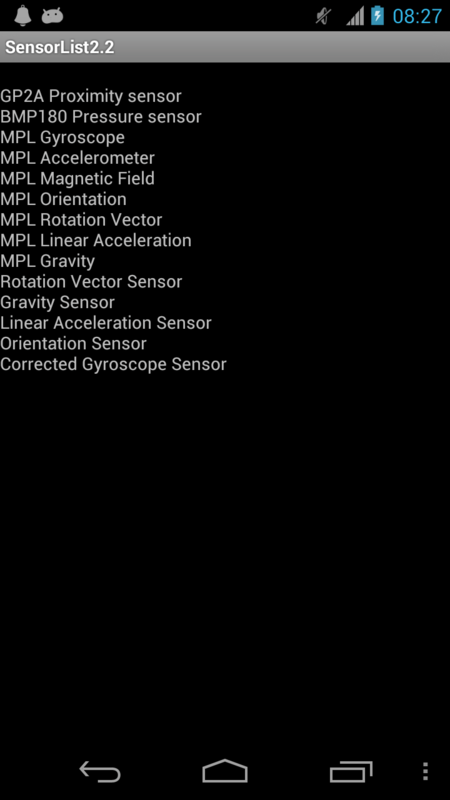 Found this post which implies the device needs a gyroscope to implement a Rotation Vector Sensor. Not 100% but as much information as I can find online! So my blogging starts again….this time it will last! and be here! Hopefully will be aimed at Android development, Open Source projects, Hacking, Making, and Breaking!